Office Space - Cheshunt, Hertfordshire. 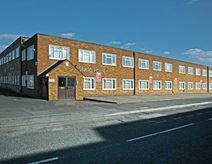 This centre has serviced offices available in an open business environment, with 24 hour access. The centre is ideal for new and expanding companies, offering reception, telephone and mail services. It is located close to exercise, retail and dining facilities. The centre is in short walking distance of Cheshunt train station which also offers a bus service.